It's birthday time for my little A and we've decided to go with a Peter Pan theme. I mean, what's better than pirates, a boy who flies and won't grow up, Indians, mermaids, and fairies all together in one story? It helps that my little A is obsessed with mister Peter Pan (or Peter " Man" as he calls him...because all super heroes end in "man") and runs around the house saying "Here we Gooooo." Jon will be making an appearance as Captain Hook and great fun should be had by all. you always know how to throw a great party. i can't believe little A is 3! Wow! We wish him a big Happy Birthday! 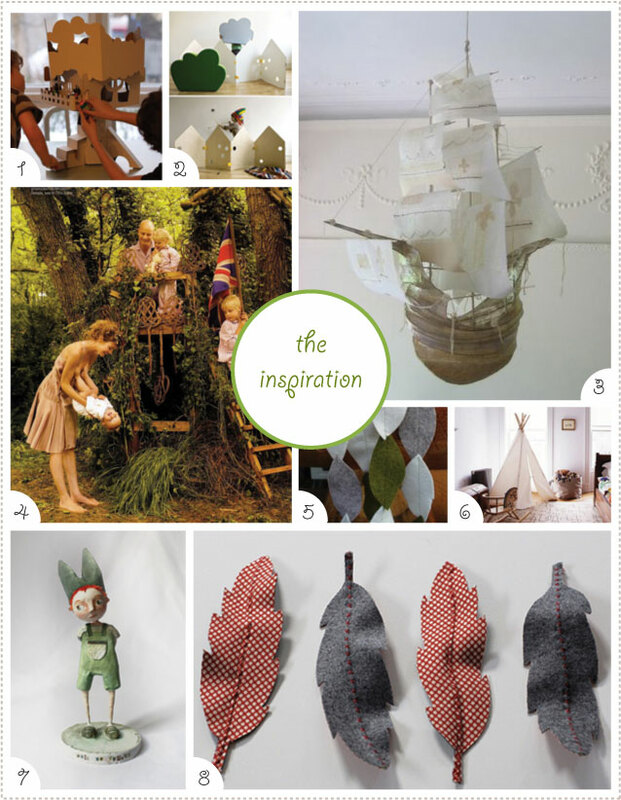 What an enchanting party idea - and the inspiration images are lovely. Happy Birthday to your little one! ooooooooooo don't forget acorns for kisses! So sweet! My son is obsessed with Peter right now, too. Love this! please post pics of the said event! What a cute idea! I love the idea. You're right - it doesn't get much better than Peter Pan for a fun story. I'm sure A will have a very wonderful birthday. I adore your blog. It puts a smile on my face. oh wow. That's definitely a great theme, and those invitations are AMAZING! :] YAYS! that looks soO awesome!! 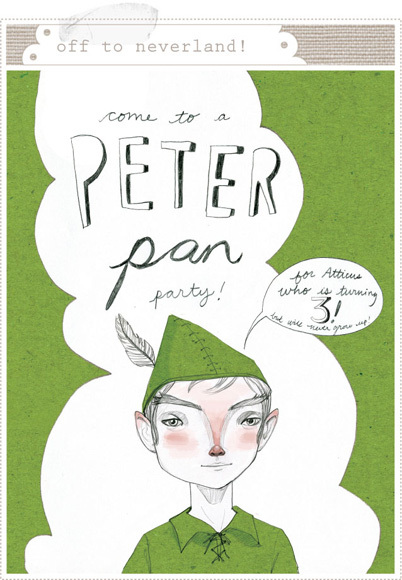 i want a peter pan party myself. i have a tea party in the works but this seems like much more fun for everyone!! hope your little A has a happy birthday!! What an absolutely fun birthday theme! Wondering where you found that amazing hanging pirate ship? I love this! You are amazing! tig-I'm trying to find out where I originally found that hanging pirate ship. I'll be sure to link as soon as I do. haha, i had a Peter Pan Syndrome party for my 29th birthday.